(Milan) – The European Union’s obstruction of nongovernmental rescues and handover of responsibility to Libyan coast guard forces is a recipe for even greater loss of life in the Mediterranean and a continuing cycle of abuse for people trapped in Libya, Human Rights Watch said today. In a visit to Libya in early July, Human Rights Watch interviewed Libyan coast guard forces, dozens of detained refugees and migrants in four official detention centers in Tripoli, Zuwara, and Misrata, and officials from international organizations. The detained asylum seekers and migrants interviewed made serious allegations of abuse by guards and smugglers, and some reported aggressive behavior by coast guard forces during rescue operations at sea. Human Rights Watch confirmed that Libyan coast guard forces lack the capacity to ensure safe and effective search-and-rescue operations. Since his government came to power in early June, Italy’s deputy prime minister and interior minister, Matteo Salvini, has campaigned against nongovernmental rescue organizations operating in the Mediterranean and refused or delayed ships from disembarking hundreds of vulnerable people rescued at sea in Italy, including military and commercial vessels. On July 23, the Italian government announced it would allow military ships participating in EUNAVFOR MED, the EU’s anti-smuggling operation, to disembark in Italy for five weeks while they renegotiate the mission’s operational plan. In recent weeks, only the Spanish group Proactiva has patrolled international waters off the Libyan coast. All other rescue organizations are either blocked in Italian and Maltese ports by legal action or are planning new operating procedures given the uncertainty around rescue coordination and disembarkation. The risk that their vessels could be impounded, or that they could face criminal prosecution or financial loss from delayed disembarkation, risks deterring commercial ships from rescuing people at sea, even as the demand increases. The death toll in the central Mediterranean – between Libya/Tunisia and Italy/Malta – has skyrocketed even as departures from Libya have fallen significantly. In June alone, an estimated 600 people died or have been reported missing, bringing the death toll since January 1 to over 1,100. According to UNCHR, the United Nations refugee agency, the death rate in June was 1 in 7 people who attempted the journey, compared with 1 in 19 in the previous months of 2018, and 1 in 38 in the first six months of 2017. On July 21, Proactiva docked in Palma de Mallorca, Spain with two corpses – a woman and a young child – and one survivor they found on a destroyed rubber boat 80 nautical miles from the Libyan coast. The organization has accused Libyan coast guard forces of leaving them to die after boarding the other passengers and returning them to Libya. Libyan authorities deny the accusation. The failure by EU member states to ensure adequate search-and-rescue capacity in the Central Mediterranean is contrary to the spirit of international maritime law and may in certain circumstances give rise to liability for preventable loss of life and for direct breaches of the prohibition of refoulement – return to risk of persecution, torture, or ill treatment, Human Rights Watch said. Enabling Libyan coast guard units to intercept people in international waters, when it is known the coast guard will return people to cruel, inhuman, or degrading treatment in arbitrary detention in Libya – conditions that have been well-documented – may constitute aiding or assisting serious human rights violations. Likewise facilitating the interception and forced return to Libya of migrants seeking protection breaches international refugee law because Libya is not a party to the 1951 Refugee Convention and does not have a refugee law or procedure. This means that returned migrants have no effective remedy for their protection needs. In a regrettable step, the International Maritime Organization (IMO), a UN agency, officially acknowledged in June Libya’s declaration of a vast search-and-rescue (SAR) region. Despite limited capacity of Libyan coast guard forces and the known fate of those returned to Libya, Italy has secured explicit support from EU heads of state for its practice, tested since at least May 2017, of transferring responsibility to those forces even in international waters. The number of people detained in Libya has surged due to increased interceptions by Libyan coast guard forces. Brigadier General Mohamed Bishr, the head of the Libyan illegal migration directorate, told Human Rights Watch on July 12 that 8,672 people were in official detention centers, up from 5,200 in May. The International Organization for Migration estimates that there are 9,300 people in official detention centers in Libya. There are no available figures for people held in informal detention facilities run by armed groups or people smugglers and traffickers. EU member states should act urgently to protect life at sea and take rapid steps to ensure predictable disembarkation in places of safety, Human Rights Watch said. They should support rather than obstruct nongovernmental groups’ rescue operations and ensure an adequate presence of vessels equipped for and ready to respond to boats in distress. Until Libyan authorities end arbitrary detention, demonstrate sustained and significant improvements in conditions and treatment in detention centers, and have sufficient autonomous capacity to fulfil their search-and-rescue responsibilities, EU member states should resume these duties in international waters off the Libyan coast, including in the area Libya has declared its search-and-rescue region. EU countries should urgently establish a regional disembarkation arrangement, including guarantees against automatic detention of rescued people, to ensure that people are taken to safe ports and swiftly relocated to another EU country that assumes responsibility for legal processing. Such an agreement is critical to preserving life-saving efforts at sea, including by nongovernmental and commercial ships, and to avoiding recurring disputes over disembarkation. EU countries and the European Commission should press Italy and Malta, closest to the critical search-and-rescue area, to allow prompt disembarkations. Beyond emergency situations, taking rescued people to a non-EU country should be considered only if certain key conditions are met, Human Rights Watch said. These include, at a minimum, procedural guarantees against arbitrary detention and refoulement, access to a fair and efficient asylum procedure, and fair deportation procedures for those with no valid claim to remain. No countries outside the EU have indicated a willingness to enter into any formal disembarkation agreements. Libyan authorities should adopt clear and consistent standard operating procedures for the coordination of rescue operations by commercial, nongovernmental, and any other vessels in its territorial waters or, within what it considers its search and rescue region in international waters, Human Rights Watch said. Libyan coast guard forces can and should play a vital role in ensuring a swift response to boats in distress, and in arranging for safe disembarkation outside Libya. Italy has taken the lead in EU efforts to build the capacity of Libyan authorities to secure Libya’s borders and patrol the Mediterranean. In February 2017, Italy signed a Memorandum of Understanding with the Government of National Accord on migration control. Italy has since delivered four patrol boats under a 2008 agreement and promised to provide two more large boats as well as 30 Zodiacs (rubber speed-boats) by October. Italy is carrying out an EU-funded project to assist Libya in setting up a maritime rescue coordination center (MRCC), which is expected to be operational in 2020. In June, the International Maritime Organization (IMO) officially acknowledged Libya’s declaration of a vast search-and-rescue (SAR) region. EU heads of state adopted a joint statement in late June that all vessels in the Mediterranean “must…not obstruct operations of the Libyan Coastguard.” It is regrettable that the IMO, a UN agency, recognized the authority of Libyan forces to take charge of operations despite concerns about capacity and the fate of those returned to Libya, Human Rights Watch said. The Italian Maritime Rescue Coordination Center (IMRCC) has routinized a practice, tested since at least May 2017, of transferring responsibility to Libyan coast guard forces in international waters even when there are other, better-equipped vessels, including its own patrol boats or Italian navy vessels, closer to the scene. The EU’s anti-smuggling operation EUNAVFOR MED – also known as Operation Sophia – includes a training program, begun in October 2016, for Libyan navy and coast guard officers, petty officers, and seamen under the Libyan Government of National Accord’s Defense Ministry. As of June, 213 Libyan coast guard and navy personnel had participated in training courses, according to an EUNAVORFOR MED presentation Human Rights Watch attended. EUNAVFOR MED should intensify its monitoring of Libyan coast guard operations, including by units not trained by the EU, and regularly publish its findings. According to news reports, EUNAVFOR MED has paused operations given the uncertainty around being able to take rescued people to Italy, as provided under the mission’s operational plan. Since it began in 2015, ships participating in the operation are credited with rescuing over 49,000 people. Libyan coast guard forces rely heavily on Italian (and Maltese) surveillance capacity and assistance. Libyan units have inadequate and insufficient boats, chronic maintenance problems, and fuel shortages that limit their ability to patrol even Libyan territorial waters and quickly reach boats in distress, according to information obtained through interviews with Libyan coast guard forces in Tripoli and Sebratha, in July. Despite these limitations, the Italian maritime rescue center now consistently appears to instruct boats in distress and potential rescue vessels to call the Libyan coast guard and defer to its instructions. This has led to delays in rescues, with Libyan authorities requiring nongovernmental rescue groups and commercial ships to wait on the scene until a Libyan patrol boat can arrive. It has also led to dangerous situations in which people panic and jump in the water to attempt to swim to a European vessel. Accounts of intercepted asylum seekers and migrants suggest that Libyan coast guard units are intervening even when other vessels are nearby. “Joanna,” a 34-year-old mother of three from Cameroon, said that once the boat she was on with 170 people crossed the “international line” after 10 hours at sea in early June, they saw a small white plane circling above them, but they did not call the Italian coast guard because they were afraid the Italians would send Libyan coast guard to take them back to Libya. “Ahmed,” 26, a Palestinian from Gaza, said that he made a second attempt to reach Europe in May. “After 11 hours at sea, we spotted a large, orange-colored boat. We called the Italians with a Thuraya [satellite phone], but the boat had already started to lower its speed boats to come and rescue us. But before they could approach, the Libyans came from behind us and so the foreign boat stopped and did not approach us when they saw the Libyans. Some people jumped off our boat and started to swim toward the foreign boat. Those who remained refused to board the Libyan ship. “At this point two of the three Libyans on board the large rescue ship, one of whom was from the coast guard and two who were in military uniform, shot into the water next to where we were. They also came very close to our boat and started to make waves to scare us. People got scared and finally started to board their ship. They took us to Khoms,” Ahmed said. This may have been an incident reported by SOS MEDITERRANEE, whose rescue ship the Aquarius is white and orange, on May 7, in which the crew observed people jumping in the water. The rescue group said that the Libyan coast guard declined their repeated offers of assistance and ordered the ship to leave the area. Since 2014, nongovernmental organizations have been performing vital search-and-rescue operations in international waters off the coast of Libya, where many unseaworthy, overcrowded boats enter into distress. According to official Italian statistics, nongovernmental groups performed roughly 40 percent of all rescues in the central Mediterranean in 2017 and the first five months of 2018 – a total of 51,569 people. A concerted campaign by Italian politicians and officials in 2017 and the volatile security situation in the Mediterranean led several groups, including Save the Children and Migrant Offshore Aid Station (MOAS), to suspend operations. The Italian parliament conducted two separate inquiries in 2017, finding no evidence of misconduct by nongovernmental rescue organizations. Representatives of the Italian coast guard and navy said at the time that these groups were cooperative. 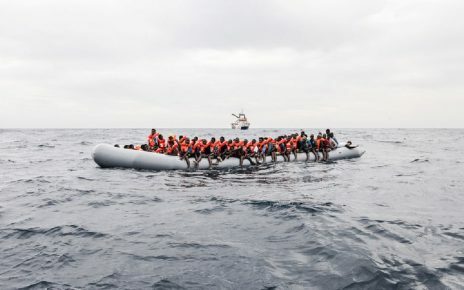 Nonetheless, every nongovernmental rescue organization with current capacity to perform rescues is facing legal battles or restrictions by Italian or Maltese authorities. Twenty people linked to the German group Jugend Rettet, Save the Children, and Médecins sans Frontières (MSF) are caught up in an investigation by a Sicilian prosecutor against Jugend Rettet for alleged collusion with smugglers. Its vessel was impounded in 2017. Two crew members from Proactiva are under criminal investigation in Sicily after the group’s ship Open Arms refused to hand over rescued people to a Libyan patrol boat in international waters in March 2017. The boat was impounded but later released. In June, judicial authorities in Malta impounded the vessel of the German group Mission Lifeline, and placed its captain under investigation, after the group was permitted to dock with 234 people following a five-day standoff. In July, Malta blocked two other German rescue organizations, Sea-Watch and Seefuchs, from leaving port, and grounded Moonbird, a civil reconnaissance aircraft that has assisted in spotting and subsequent rescue of migrant boats. The Aquarius, operated jointly by SOS MEDITERRANEE and MSF, was forced to divert to Valencia, Spain, in early June with over 600 people after Italy and Malta refused to allow them to dock. Malta subsequently denied the Aquarius entry for a port call, and the ship has been docked in Marseilles since mid-June. Statistical studies have debunked the claim that rescues by these groups encourage people to attempt the sea crossing, demonstrating stable or even higher numbers of departures at times when rescue ships were spread thin or absent entirely. Current dynamics in the Central Mediterranean may lead to an increased burden on commercial ships to respond to boats in distress at a time of significant uncertainty around disembarkation. In at least two recent cases, the Italian maritime rescue center told commercial ships to contact Libyan coast guard forces for instructions. On June 30, the center diverted the commercial ship Sedef to respond to a boat in distress inside Libyan territorial waters, and subsequently said the ship should call the Libyan coast guard to arrange transfer or disembarkation. A representative of Kasif Denizcilik, the Turkish company that owns the Sedef, told Human Rights Watch by phone that the transfer of 115 rescued people to a Libyan patrol boat at sea took place without incident on July 1. After the crew of the Vos Thalassa, an oil rig supply ship, reported to the Italian maritime rescue center that they had rescued 67 people in international waters on July 8, the Italian authorities instructed them to meet up with a Libyan patrol boat, providing them the position for a transfer. The plan was aborted when the crew reported that they faced protests and even threats once people realized they were heading toward the Libyan coast. All were eventually taken to Italy, where two of the rescued men face charges for violence, threats, and conspiracy to facilitate irregular immigration. Forty people rescued by the crew of the Sarost 5, a Tunisian-flagged vessel, on July 15 remain on board, with Tunisia, Italy, and Malta refusing to allow the ship to disembark. “We need to ensure that shipping can continue to fulfill their rescue obligations without undue difficulties or risk to the crew,” John Stawpert of the International Chamber of Shipping told Human Rights Watch in a phone interview. The shipping industry, including flag states – countries where ships are registered – and maritime trade unions should consider using its influence to press EU member states and Libya to allow European coordination of rescue operations involving commercial ships in international waters, Human Rights Watch said. Support from Italy, Malta, or any other EU country in coordinating interceptions or rescues resulting in the return of refugees and migrants to Libya raises complex questions of law. All ships are obligated to come to the aid of a vessel in distress and take those recued to what is considered a place of safety under maritime law. Effective coordination among coastal states and all ships at sea is at the heart of the global search-and-rescue regime and is vital to preserving life at sea. At the same time, the current conditions in Libya mean that it cannot be considered a place of safety. Furthermore, when facilitating Libyan interception of refugees and migrants at sea is instrumental in their return to abusive detention in Libya, this could constitute aiding or assisting in serious human rights violations. The EU and its member states are aware of the foreseeable violations that face migrants upon their return and that such violations breach both EU and Libya’s international legal obligations. Human Rights Watch.EU/Italy/Libya: Disputes Over Rescues Put Lives at Risk . © 2018 by Human Rights Watch.